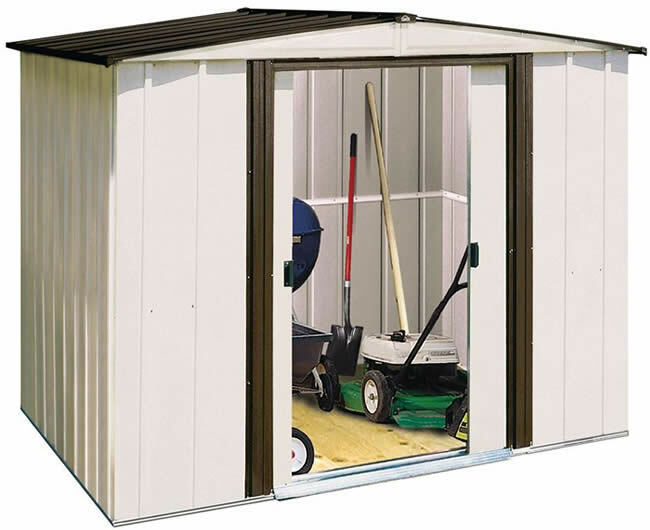 Small Storage Sheds: Excellent For Smaller Outdoor Storage Needs! 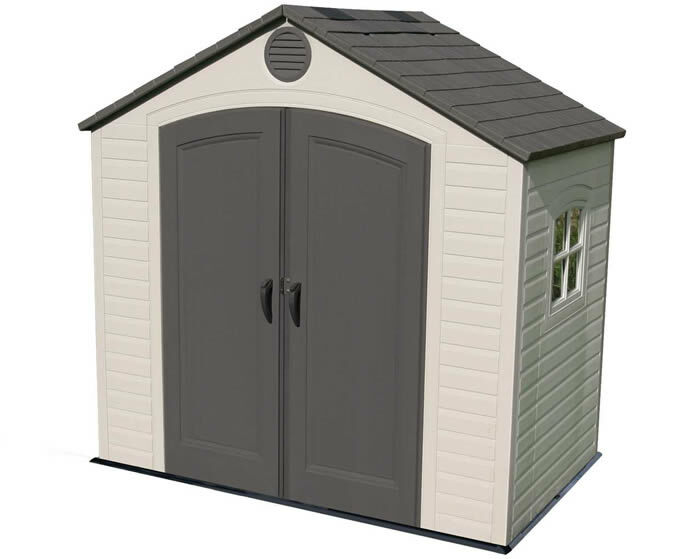 Small sized garden buildings, tool sheds and storage boxes from Arrow, Best Barns, DuraMax, Handy Home Products, Leisure Season, Lifetime and Suncast. 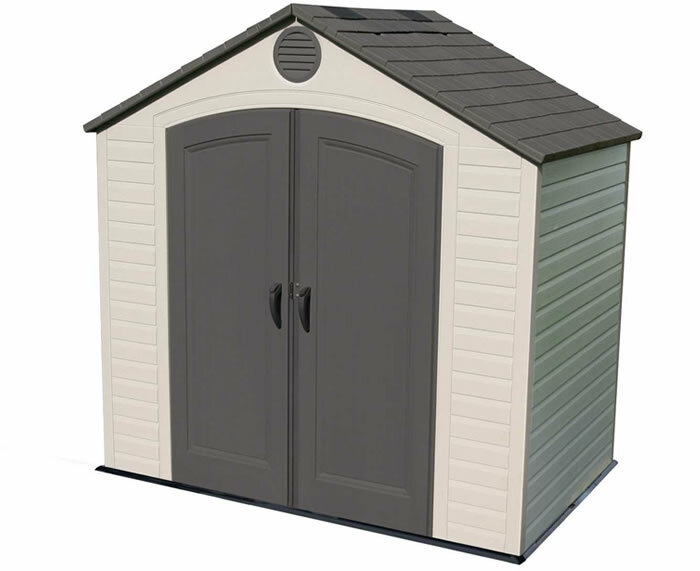 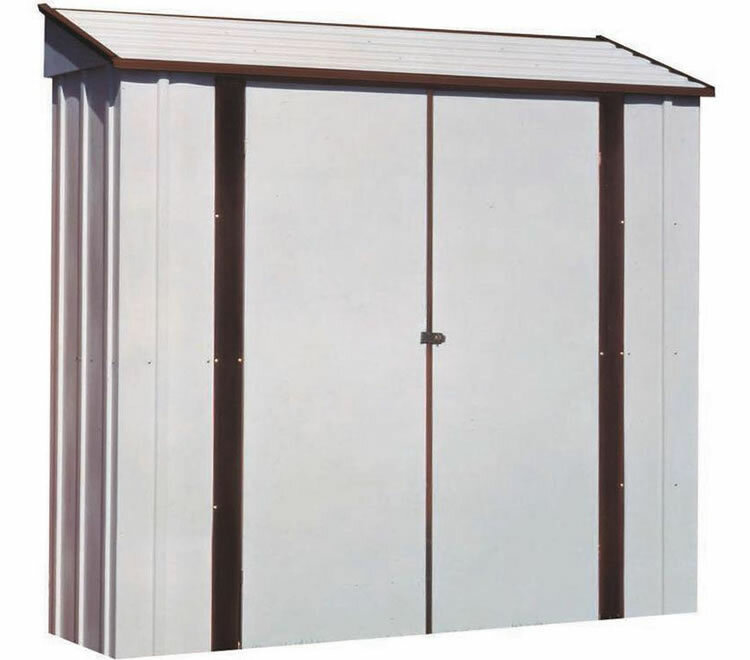 Choose from a huge line up of small sheds in vinyl, resin, wood, plastic and metal options. 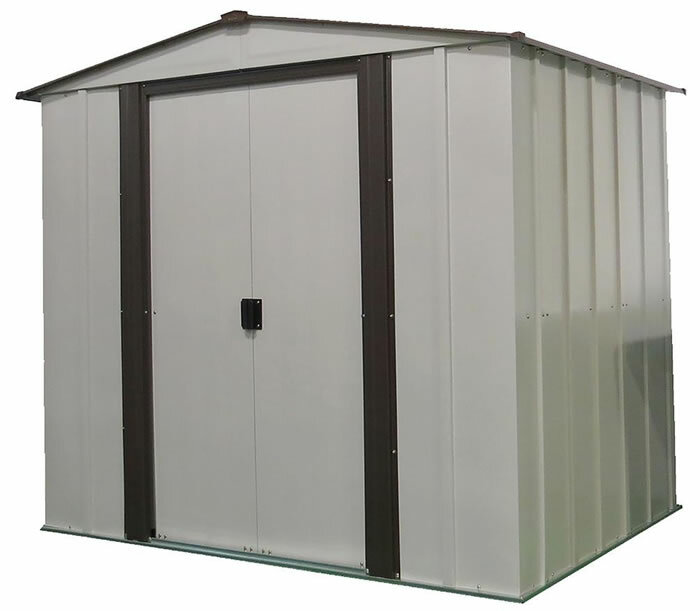 Get a cost effective metal building from Arrow or choose from our premium vinyl DuraMax storage sheds or plastic Lifetime garden sheds. 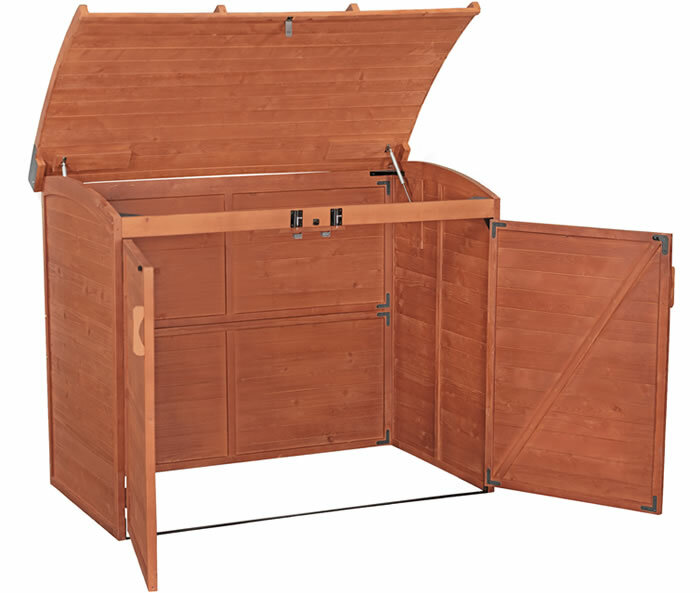 If you need a small wood shed kit look into our high quality Best Barns and Handy Home Products brands. 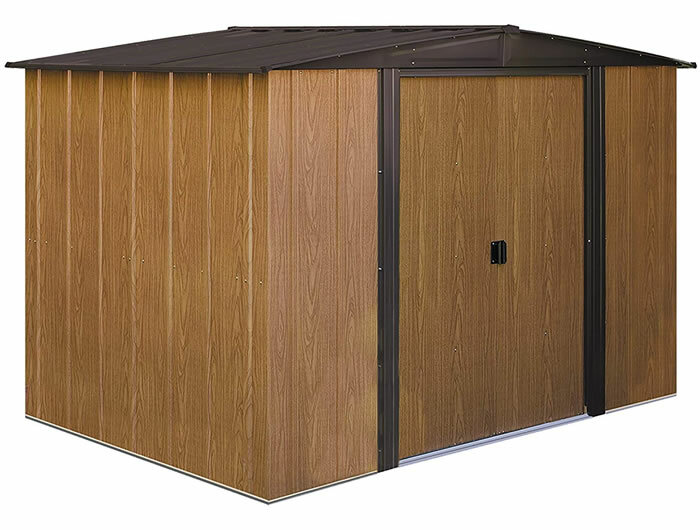 Whichever you choose to buy for your backyard, all our shed kits are very easy to assemble and come with 10 to 15 year warranties! 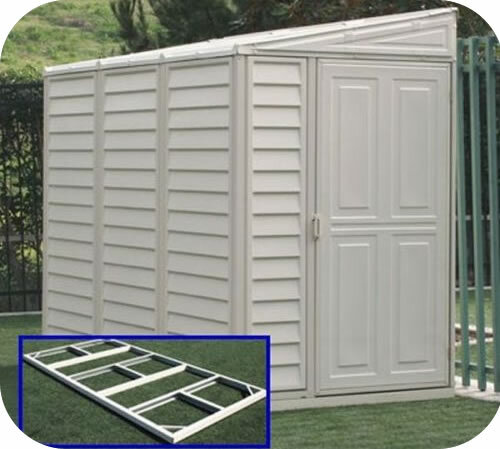 Buy your new small shed today and get that home backyard or garden project started! 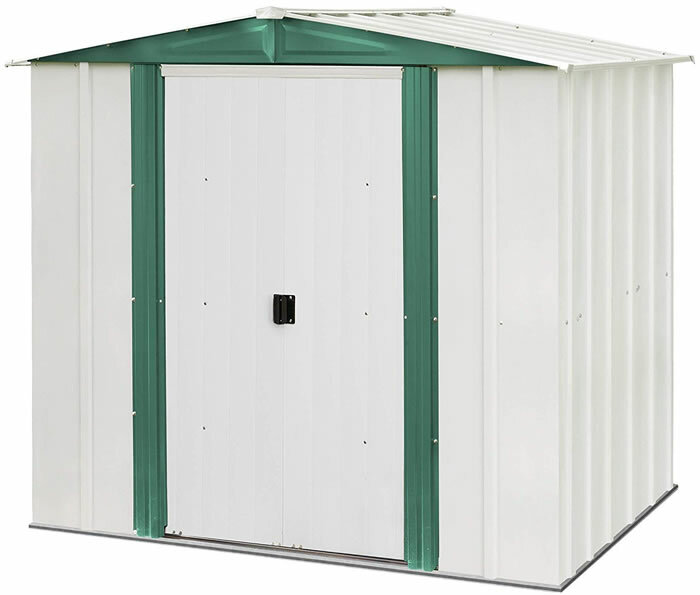 For helpful information and answers to frequently asked questions about our storage sheds read articles about our sheds. 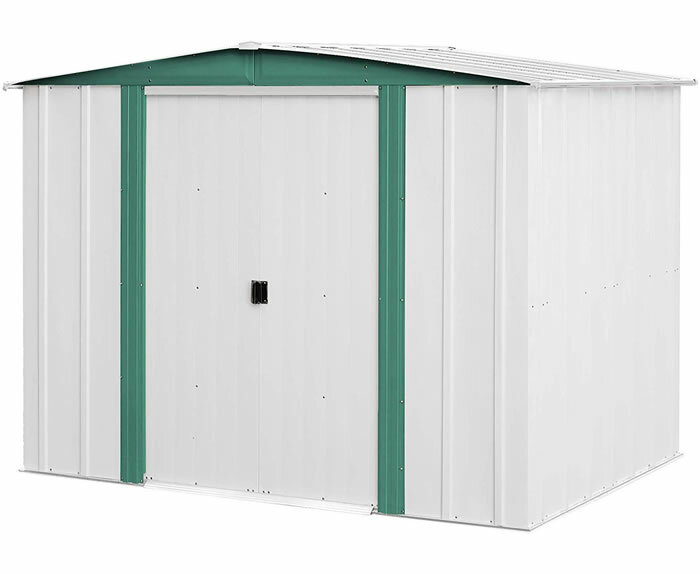 If you have questions about our small storage buildings please contact us and we will do our best to assist you! 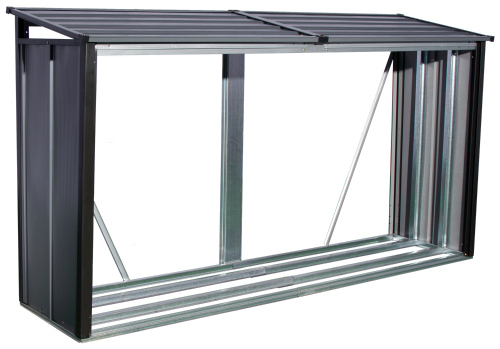 Protect up to 1/8 cord of firewood from rain, snow, mold and insects with our tough built galvanized steel Arrow 4x2 Firewood Rack. 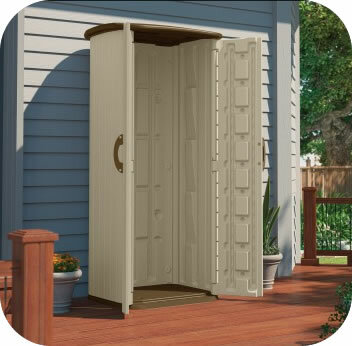 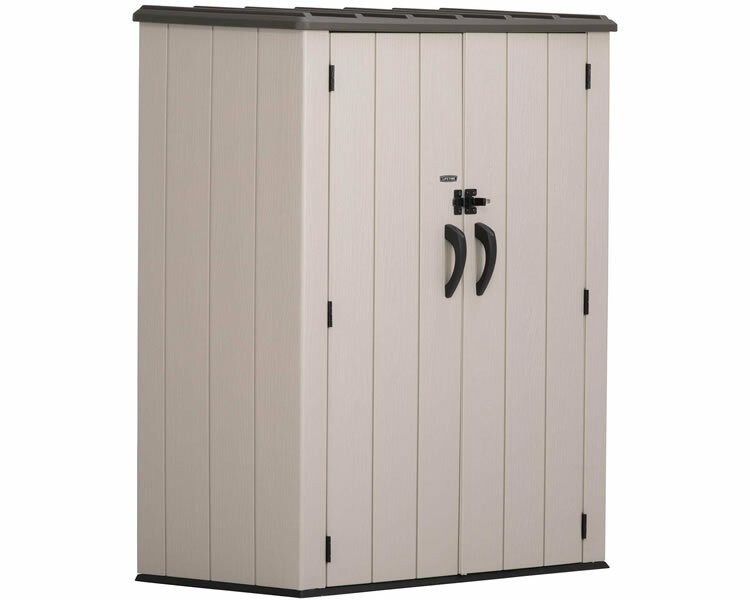 Need backyard storage at a low sale price? 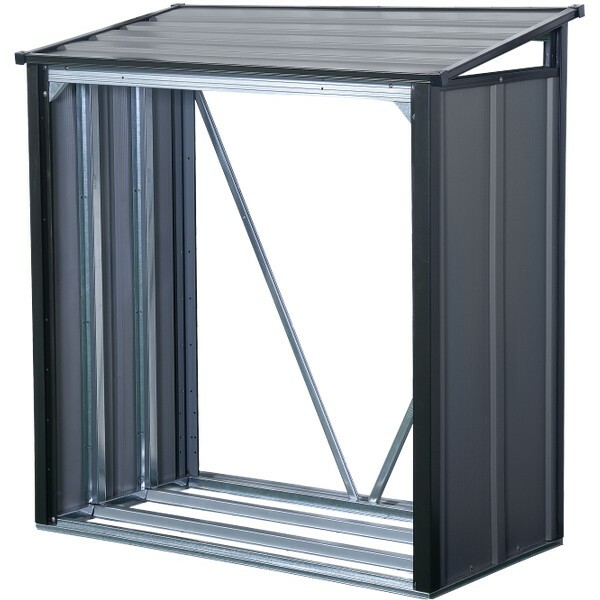 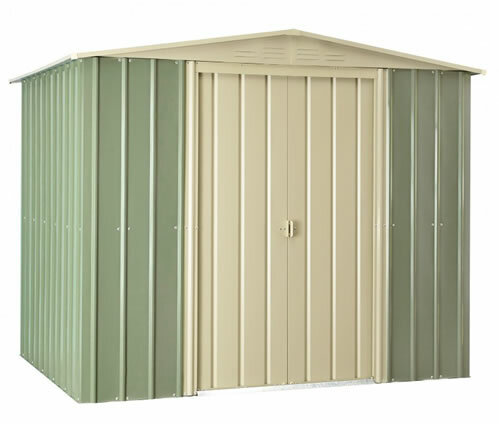 Try our Arrow Brentwood metal shed kits for quick, affordable extra outdoor storage space. 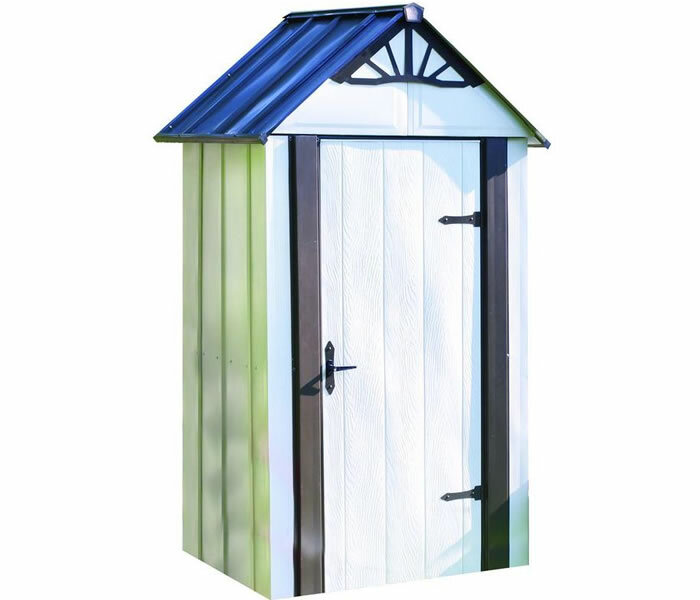 Painted in green and white colors the Arrow Hamlet metal shed will beautify any backyard setting! 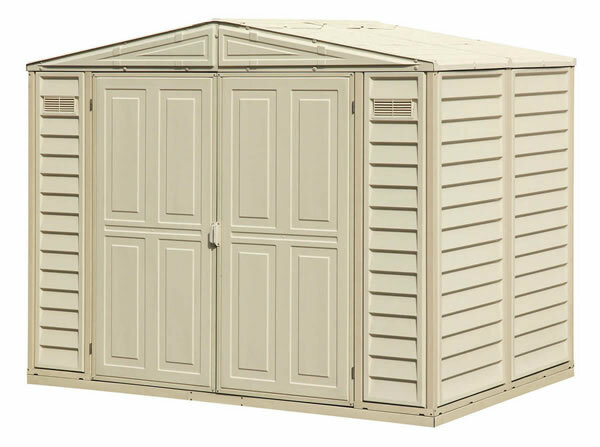 A great small shed at a great price! 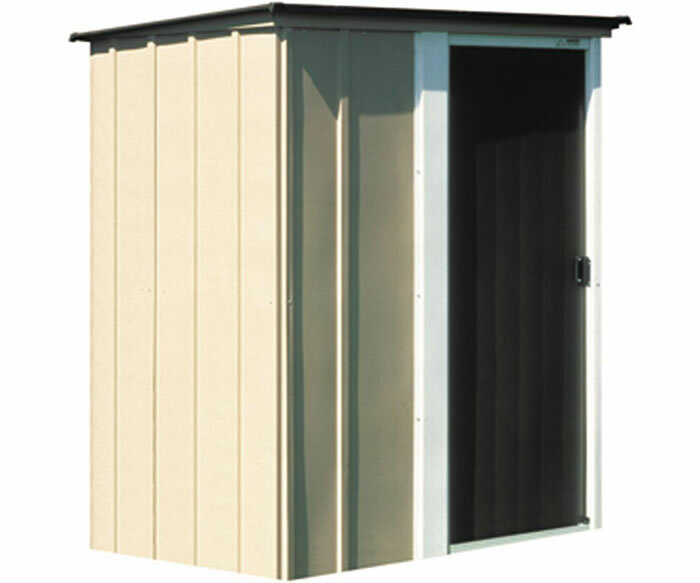 Complete that outdoor storage project with a cost effective Newburgh 5x4 storage shed. 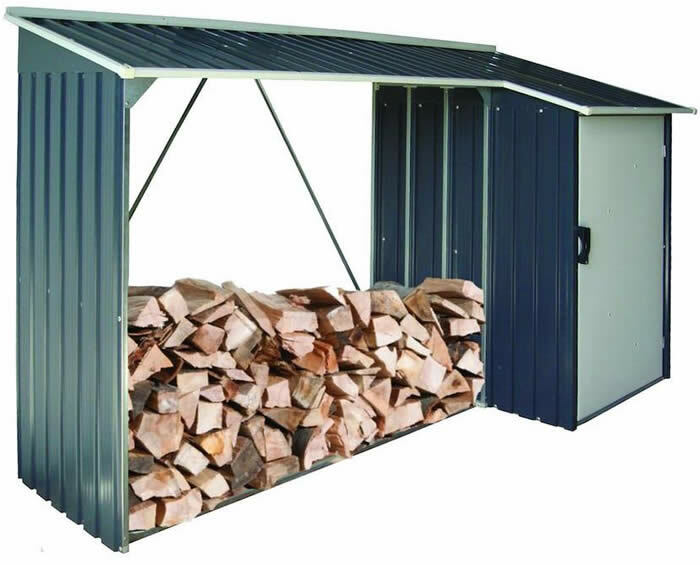 Arrow metal sheds save you time and money! 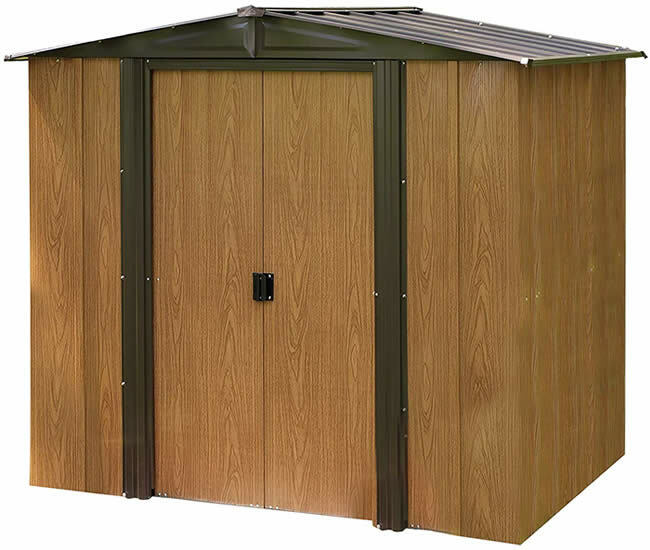 Complete that outdoor storage project with a cost effective Newburgh 6x5 storage shed. 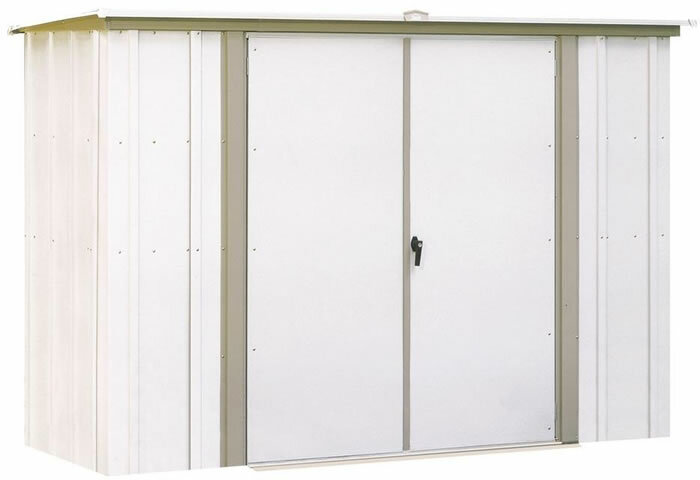 Arrow metal sheds save you time and money! 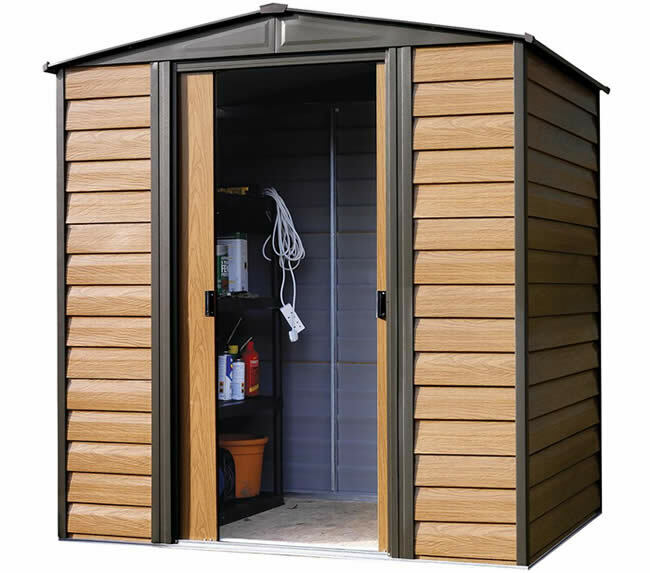 Complete that outdoor storage project with a cost effective Newburgh storage shed. 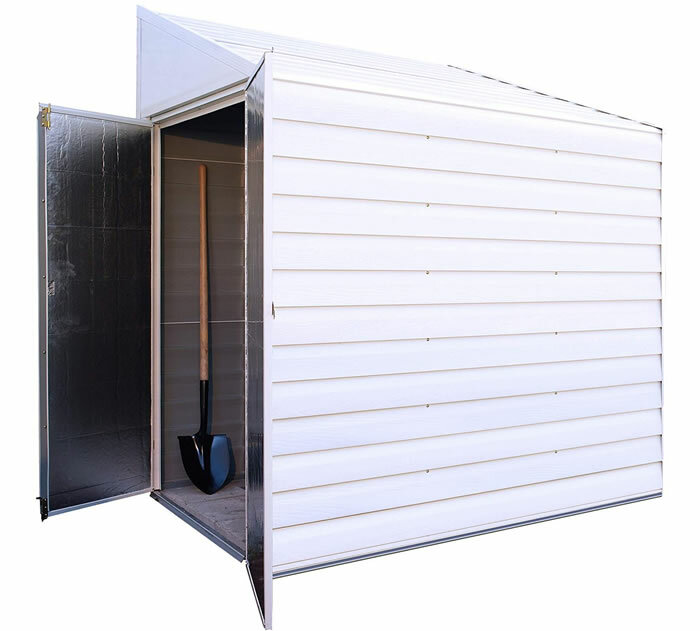 Arrow metal sheds save you time and money! 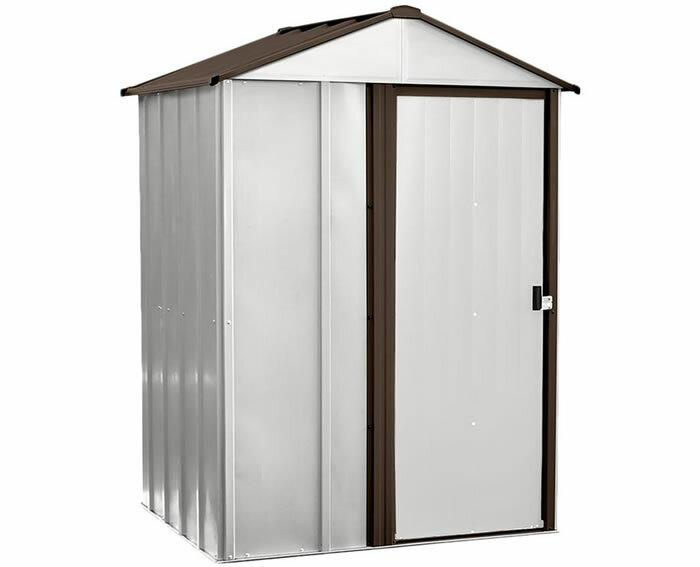 The Arrow Sentry metal shed is the perfect low cost shed for your backyard! 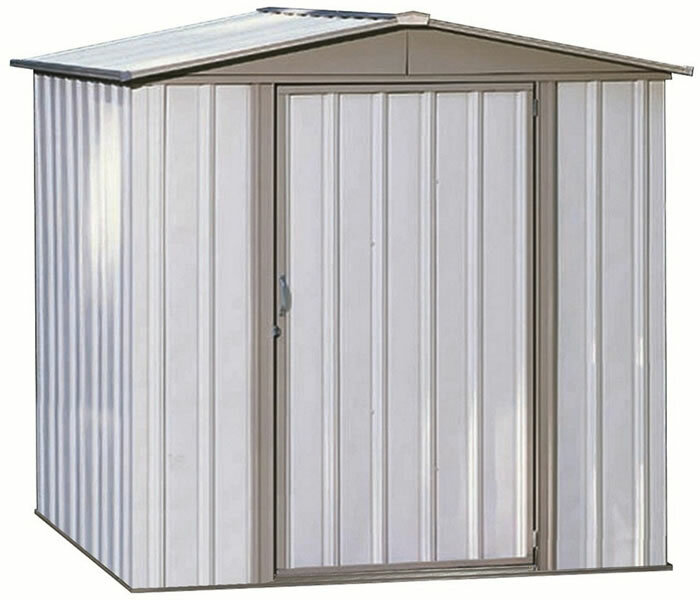 Choose metal sheds for a low price and easy outdoor storage. 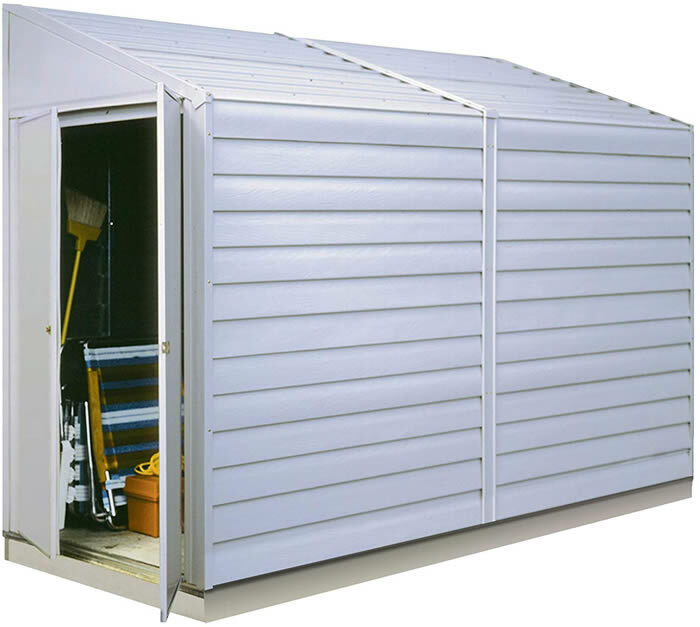 The Yardsaver 4x7 Arrow metal storage shed kit fits tight against the side of your home for an elegant look and easy storage. 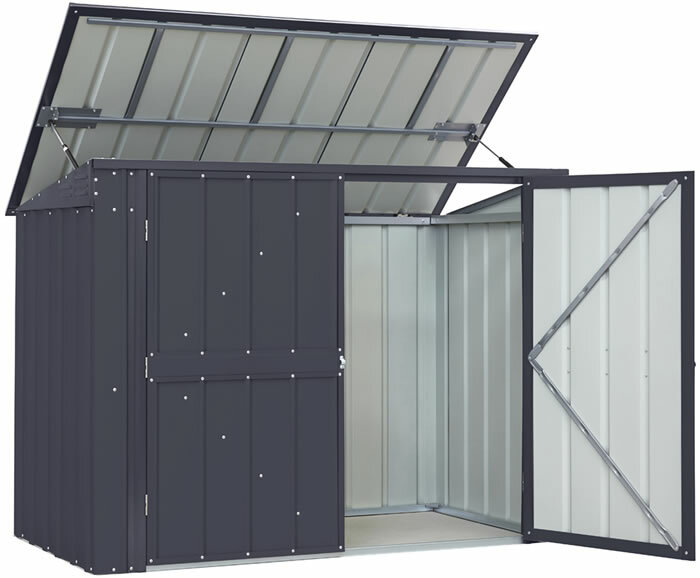 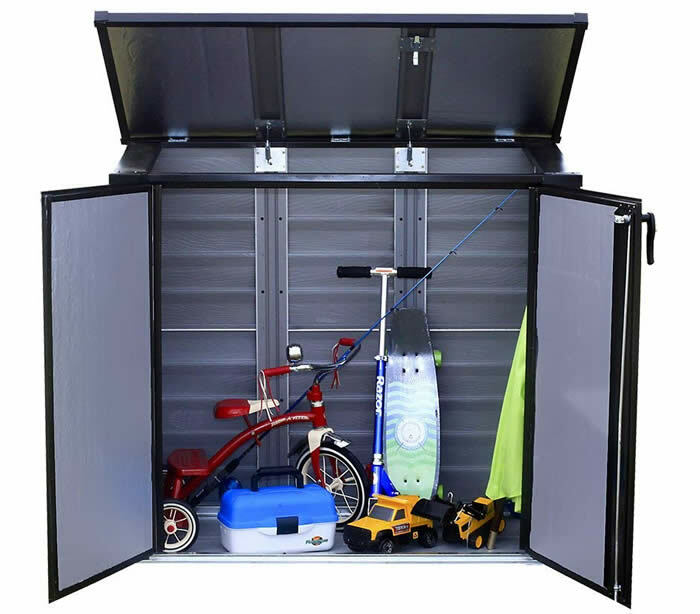 Arrow Sheds small outdoor storage locker is a great metal storage shed solution for tight spaces or even apartment patios! 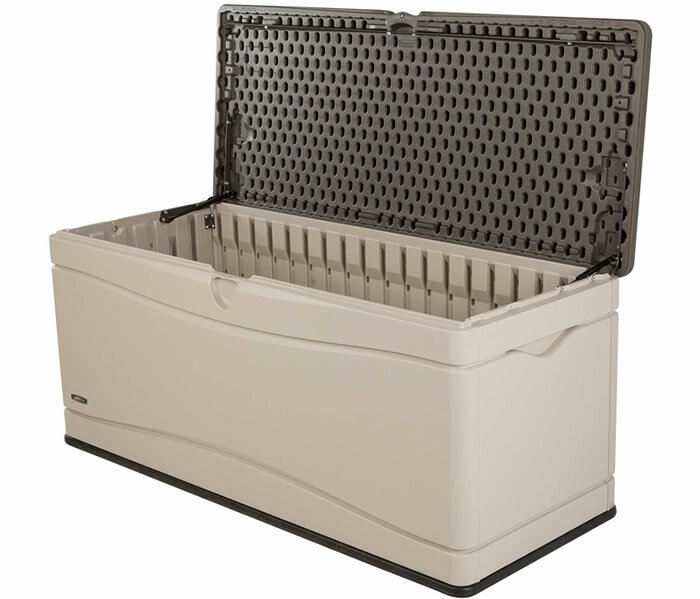 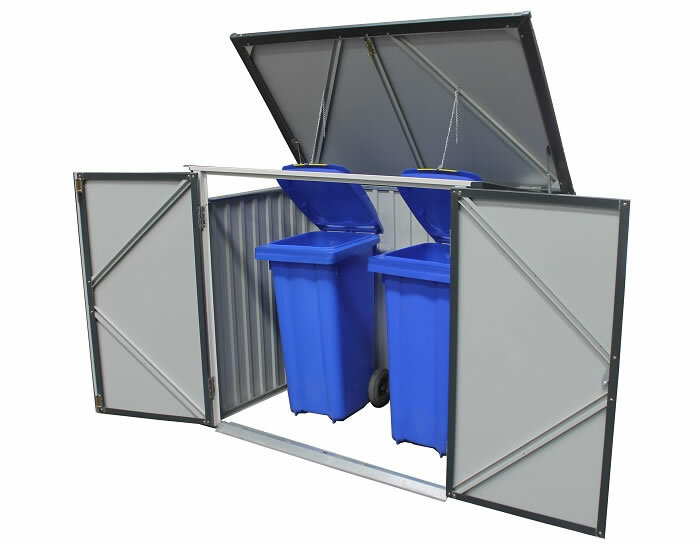 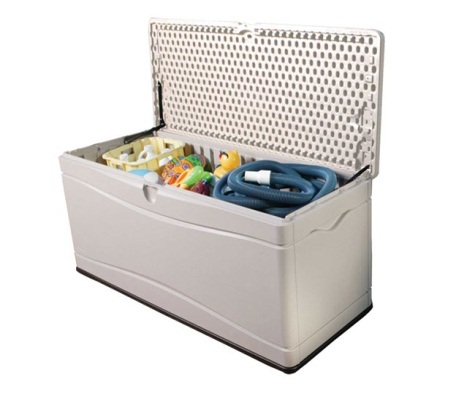 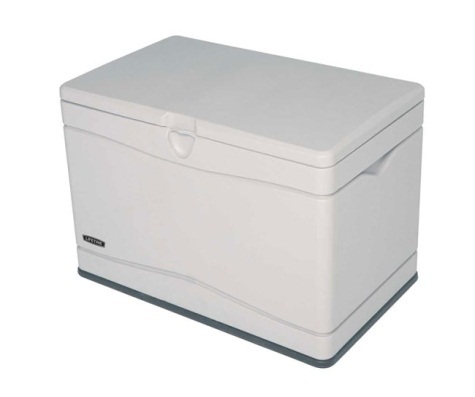 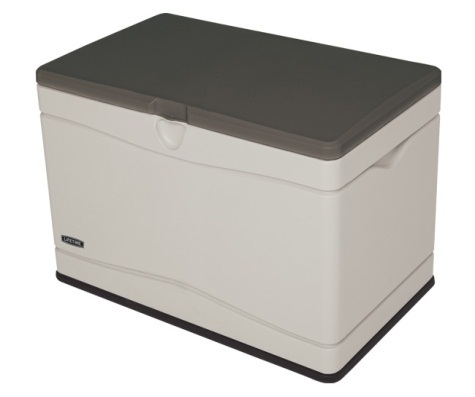 Ideal solution for keeping trash and recycling bins out of sight or for storing lawn, garden, and patio supplies. 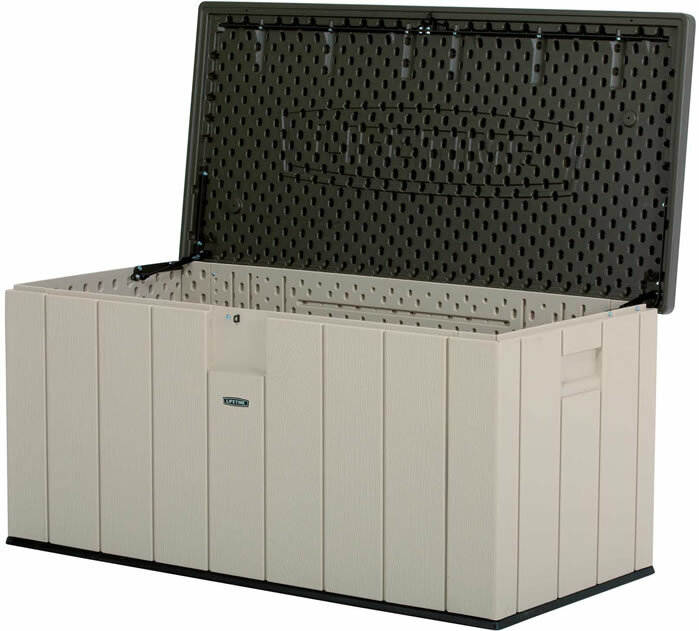 Organize your trash cans and keep pesky animals locked out with our convenient wood storage shed recycle center! 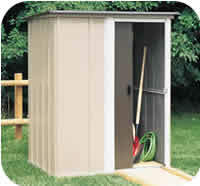 The Arrow metal garden shed comes complete with shelving, a tool hanging rack and floor framing kit. 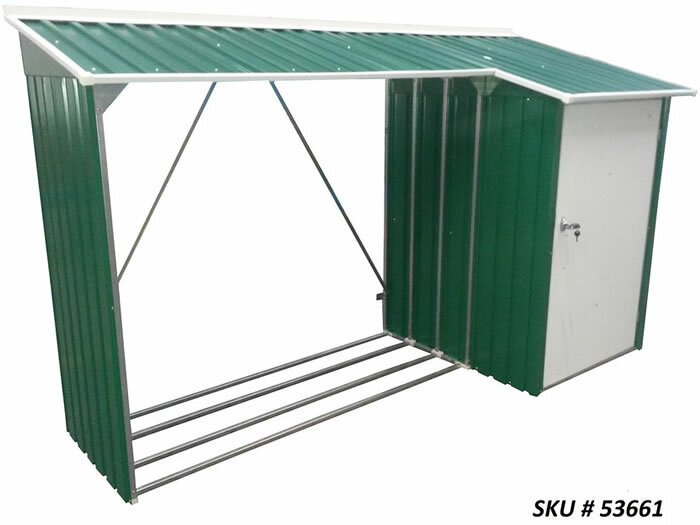 Low cost small metal shed kit!